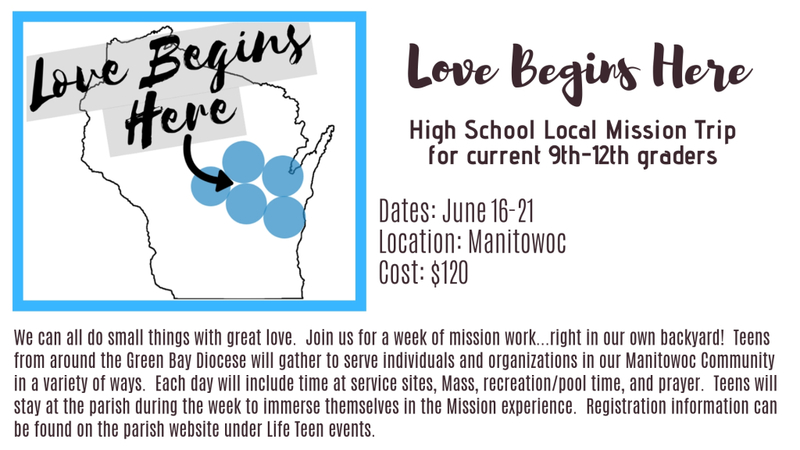 Want to know more about what Love Begins Here entails, including the Mission Manifesto, photos from previous Love Begins Here Mission weeks, and FAQ's? Click here. 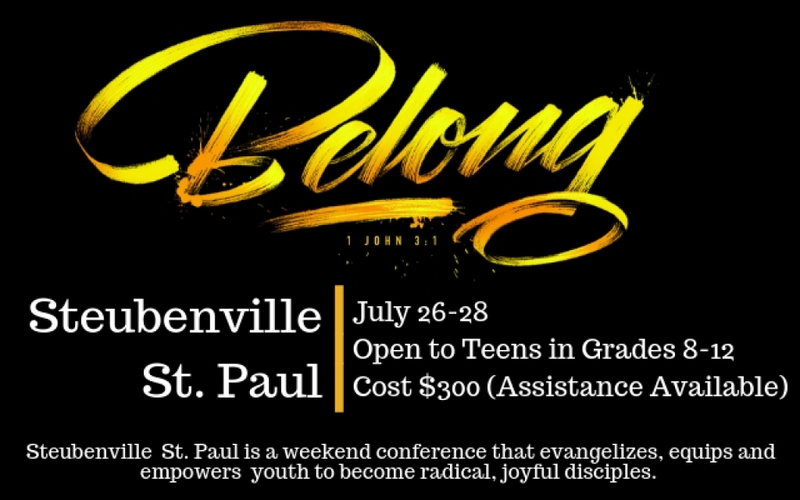 Want to know more about Steubenville St. Paul? Find more information, including FAQ's and photos from previous Steubenville Conferences here. Checkout our Facebook page or Instagram account for more Life Teen activities. Also text @ltsfa to 81010 to receive text message updates about Life Teen and high school events! Life Nights happen on Sunday evenings. 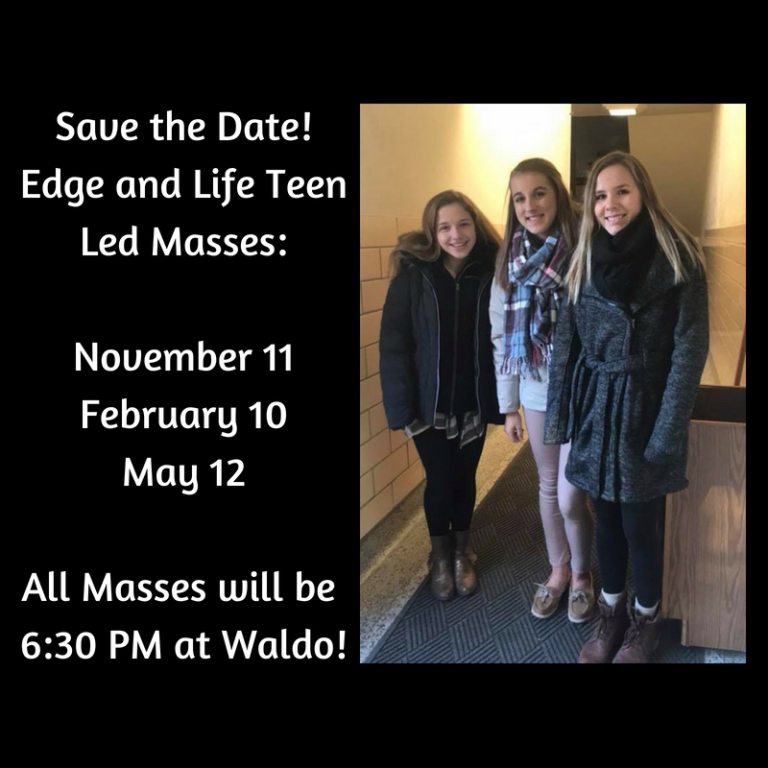 They are open to all teenagers in grades 9-12 and are a non-traditional form of faith formation. Life Nights cover a variety of topics that are both catechetical and designed to help teens grow closer to Christ and His Church, as well as grow in community. During the 2018-19 Life Teen year we'll be discussing morality, God's revelation in Sacred Scripture, social justice, the human person as body, mind, and soul, and the last things (heaven, hell, purgatory, and judgment). 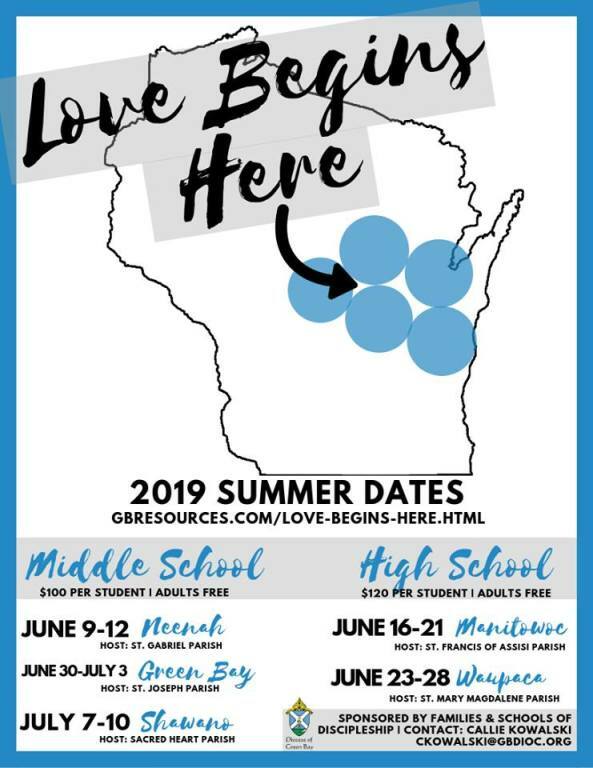 There are also Social Life Nights that focus on building community and Issue Life Nights that address issues specifically related to the lives of teens or current situations in our world. All high school teens are welcome every week to grow in their faith, make friends, and dive deeper into their Catholic faith. Students wishing to receive the Sacrament of Confirmation should be attending at least two Life Nights/month (regardless of whether or not the student attends public or Catholic school).